JNU Application Form 2019 – Jawaharlal Nehru University has open the application correction window of JNU 2019 application form on April 22, 2019. The registered candidates can make the required changes in their JNU application form 2019 until April 28, 2019. JNU had released the JNU 2019 application form on March 15, 2019. The application window of JNU 2019 application form submission was closed on April 18, 2019. Candidates who applied for admissions in JNU were required to register first before applying for the JNU Common Entrance Exam. The JNU application form 2019 is to be considered submitted only after the payment of the application fee is done. The application fee can be submitted in both online and offline mode. Offline payment can be done through the SBI challan. Jawaharlal Nehru University had released the JNU Admission 2019 notification on March 15, 2019. The JNU entrance exam is set to be conducted from May 27 to May 30, 2019 in collaboration with the National Testing Agency. Jawaharlal Nehru University offers both undergraduate and postgraduate programmes. Candidates who wish to apply for the undergraduate courses must have completed their 10+2 with a minimum of 45% marks. Candidates aspiring to seek admission in the different postgraduate programmes must have completed their graduation from a recognized university or institute with a minimum of 50% marks. Candidates must note that the specific eligibility criteria for different undergraduate and postgraduate courses will be different. Given below is the detailed application process of JNU 2019. Candidates can follow the steps given below while filling the application form of JNU 2019. Click on the JNU application form 2019 link given here. Click on the ‘Apply now’ tab on the Admission page. Read the instructions given after which you need to click on the ‘I Agree, Apply Online’ tab towards the end. Enter the name, Date of Birth, Address, Mobile Number, Email Id and Study Programmes you wish to apply in the application form of JNU 2019 admission. Enter the Captcha mentioned and click on the ‘Register Now’ tab. After online registration of JNUEE 2019 is completed, log in using the JNU ID/ Registration Number and Password you just created. Fill in the required details mentioned on the page such as basic information, academic qualification (school/undergraduate academic details), contact details. Select the test centre of your convenience from the 127 centres options given. After filling in the academic and programme details in JNU application form 2019 you now have to upload the necessary documents. Make sure to upload all the documents in the appropriate size specified for each of the documents. 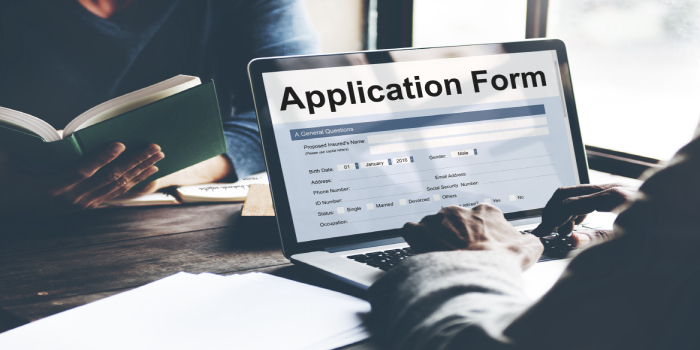 Before moving on to the application fee payment candidates are advised to have a thorough look at the form and make sure that all the spellings and preferences are given, documents uploaded etc are correct so that there will be no further problem. The application fee details pertaining to different categories are given below for reference. Candidates can remit JNU application 2019 fee online as well as offline modes. The application fees of JNU 2019 can be paid online using Debit Card/ Credit Card/ Net Banking. The application fees of JNU 2018 can be paid offline mode through SBI Bank Challan. Candidates need to note that no changes will be allowed in JNU application form after application fee for JNUEE 2019 has been paid. Candidates will get a confirmation about the successful submission of JNU application form 2019 after a confirmation page is displayed with a Unique Application Number (UAN) of JNUEE 2019. Candidates should keep JNUEE 2019 UAN in hand for future references as candidates will be provided a registration number at the time of issue of JNUEE admit card 2019. Candidates are also advised to get a printout of JNU 2019 application form for further references. Candidates need not send JNU application form 2019 to the official address of Jawaharlal Nehru University. Candidates will be given a chance to edit/modify the details provided in the application form of JNU 2019 from Aprill 22 which will continue till April 28, 2019. For this, the University will mention specific days in which the modification can be done. Given below are the filed which can be edited when the correction window in opened. Q1. Where and how can we register online for JNUEE 2019? Ans: JNU 2019 application form has been made available online by the university. Candidates nto registerster themselves and fill the application form from the website of JNU. Q2. I forgot the online application form number of JNU 2019. What should I do now? Ans: Please check your registered e-mail id inbox or message box, as you would have already received an automated message and e-mail when you initially filled the JNU application form 2019 specifying the number. Q3. While filling JNU 2019 application form, 'Proceed' option is not working. What should I do now? Ans: Perhaps your internet browser is not supporting the JNU application window. It is advised to use another browser. If the problem still persists then please call us on helpline number. Q4. How can I do corrections in JNU application form 2019? Ans: The corrections in JNU application form can be made through 'edit' option available in the online application form of JNUEE 2019. The university will allow the candidates to make correction on their application forms from April 22 which will continue till April 28, 2019.